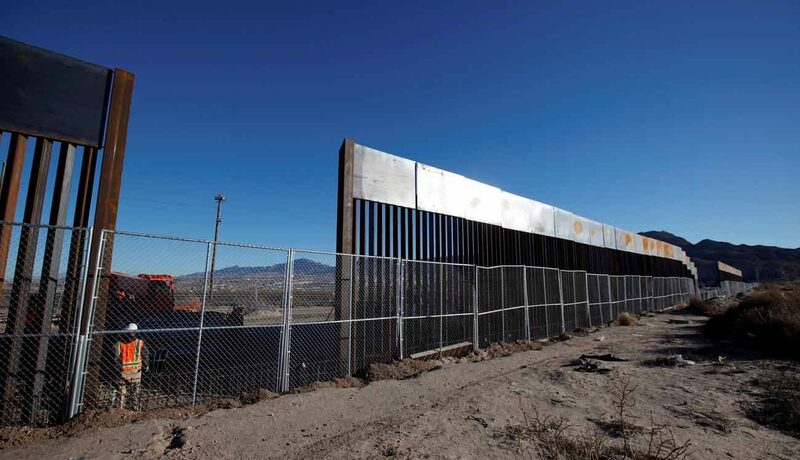 PHOENIX (CNS) — The mother who made headlines as possibly the first unauthorized immigrant to be deported from the United States under President Donald Trump’s immigration orders was being sheltered overnight by the Kino Border Initiative in Nogales, Mexico, Feb. 9. Jesuit Father Sean Carroll, the initiative’s executive director, confirmed in an email to Catholic News Service that Guadalupe Garcia de Rayos was being assisted by the migrant advocacy group. U.S. Immigration agents arrested and deported Garcia de Rayos after she arrived at the Immigration and Customs Enforcement office in Phoenix Feb. 8 for a mandatory check-in. She had been doing yearly or biyearly reports to the ICE office since 2008, after her arrest and conviction for giving a fake Social Security number to an employer. According to her family, each other time she had reported to ICE, she was questioned and allowed to return to her home in Mesa, a suburb east of Phoenix. Her two teenage children, both of whom were born in the U.S. and are U.S. citizens, sat by their mother as they spoke to the media from the Kino Border Initiative dining hall in Nogales following her deportation. “Last night, I felt so empty without her,” said Garcia de Rayos’ daughter, Jacqueline, 14. “The only crime my mother committed was to go to work to give a better life for her children,” Jacqueline told The New York Times the day before. “It’s a nightmare having your mother taken away from you,” said the son, Angel, 16. During a live-streaming interview with The New York Times in Nogales, Jacqueline said their mother each night insisted on making the sign of the cross on their forehead and kissing them goodnight. Garcia de Rayos came to the U.S. with her parents when she was 14. They were from the central Mexican state of Guanajuato. Later in the U.S., she married another immigrant in the U.S. without legal permission, and the couple had two children. She had not been back to Mexico in 21 years. The Kino Border Initiative “comedor,” where Garcia de Rayos landed after being deported, is located directly across from the Mariposa border crossing. It serves meals and gives assistance to scores of deported migrants each day. The initiative shelters women and children deportees in a nearby apartment complex. While Garcia de Rayos was at the Phoenix ICE facility Feb. 8, immigrant advocates alongside her family rallied for her return to her husband and children. A priest from the family’s parish prayed with them as they waited on word of the mother’s fate. The U.S. Catholic bishops oppose “enforcement only” immigration policies and have consistently called for comprehensive immigration reform that include would among other things an earned legalization program, a legal worker program and an increase in the number of family visas available in order to speed up family unification. The executive order on immigration Trump signed in late January includes several categories on unauthorized immigrants that the administration says immigration law enforcement officials should prioritize for removing from the country. During his administration, President Barack Obama deported more than 2.5 million people, more than any president before him. Critics of Trump’s order say it gives law enforcement authorities wide discretion in who they deport, while Obama had directed law enforcement to expel unauthorized immigrants who were a threat to national security, involved in criminal gang activity or were repeat offenders.